Yes its covered in Ice, but the Track has no Temperature. It doesn’t care what country you’re from, how much you’ve trained, or how many Red Bull Crashed Ice titles you’ve racked up. 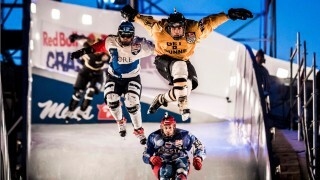 And unlike Hockey, where the dimensions of the ice surface vary little from rink to rink, the personalities of an Ice Cross Downhill Track are all unique; with the ice conditions themselves being the topic of much discussions (and those discussions are not about how smooth it is.) The engineering and thought that goes into these amazing tracks parallels the dedication and training that the athletes put towards competing on them and this Episode showcases the track difference from are from stop to stop and how our 3 Athletes attack each differently. With the Start of the season only hours away – it’s the last chance for our group of Ice Cross Downhill Athletes to discuss strategy and plan to peak on Race Night. 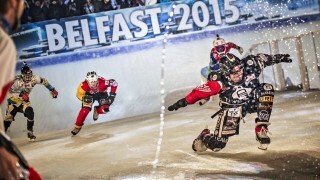 Fans in the USA can tune into FOX Sports on Sunday, Jan 25 at 4 pm ET for a special full length broadcast of Red Bull Crashed Ice from Saint Paul, MN. 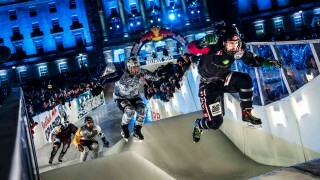 4 below Zero takes you into the action and behind the training for the 2015 Season of Red Bull Crashed Ice – The Fastest Sport on Ice. 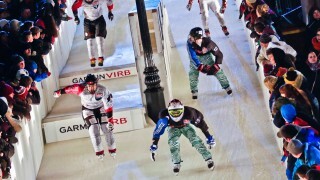 Think you can lace up the skates and go toe to toe with these guys on the track? 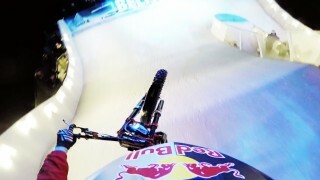 After seeing what American Cam Naasz, Austrian Marco Dallago and Canadian Scott Croxall go through chasing the Ice Cross Downhill World Championship, and just how technical the tracks have become, you might rethink things. Series Begins January 2nd with episodes every Friday in January.